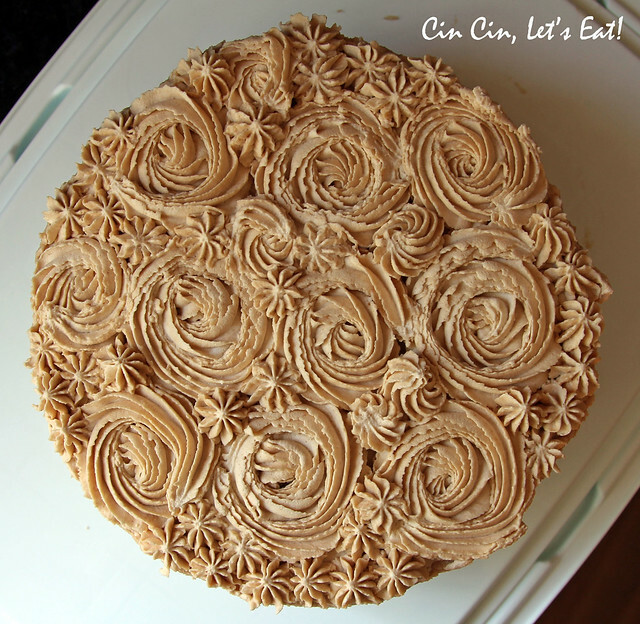 Matcha Green Tea Cake with Chestnut Whipped Cream [recipe] – Cin Cin, Let's Eat! Greetings my fellow food lovers! I apologize for the absence these past couple of weeks, there had been a lot going on, both with work and personal life. But I’m happy to say that I have been cooking and baking like a fiend because being in the kitchen keeps me sane. There is just something about dicing, folding, mixing, and stirring… all very therapeutic for me. Most importantly, I took lots of pictures, so there will be lots of posts coming! 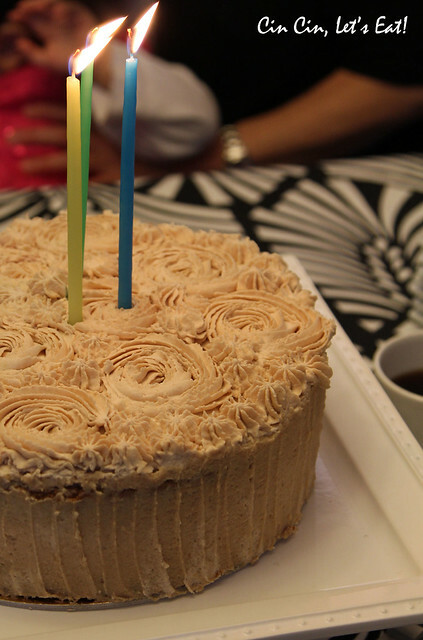 Let’s kick it off with a beautiful cake, shall we? October marked the beginning of a season of nonstop celebrations and feasting. It all starts with Joe’s birthday, then both my parents’ birthdays, and then pre-Thanksgiving get-togethers, Thanksgiving meal, endless holiday parties, friends reunions, and then ends with my siblings’ and my birthday after the new year. I was first drawn to this great recipe from SixteenBeans because of the gorgeous rosettes and stars she piped on the cake, but quickly decided to make it to celebrate both my parents and Joe’s birthdays since chestnut and green tea are some of their favorite flavors. This flavor combination may sound a bit strange , new, or even exotic to some but it’s actually a very popular duo in Asian countries like Japan. 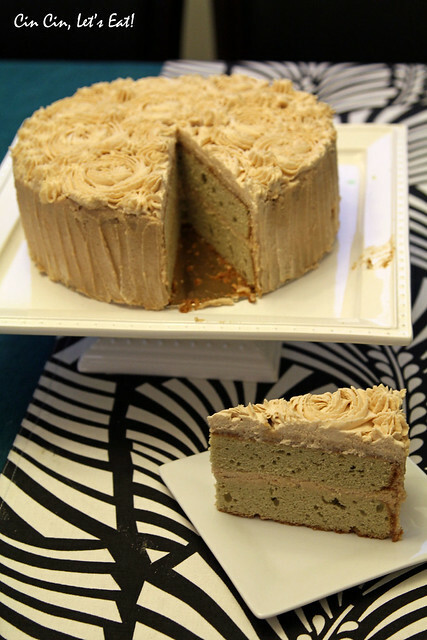 The matcha green tea powder gives the cake a subtle hint of the fragrant tea, and a gentle and beautiful pale green hue. 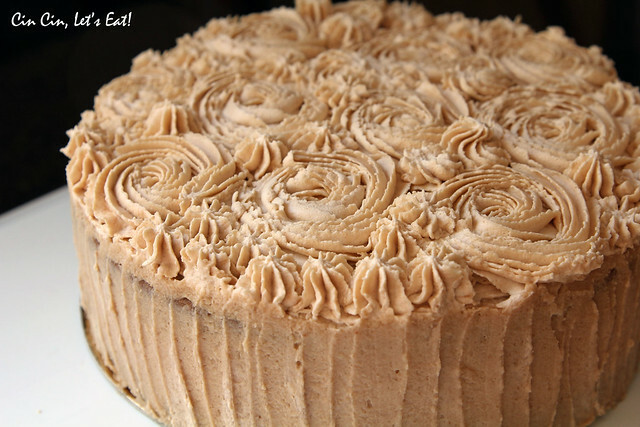 The chestnut whipped cream has recently became one of my favorite cake filling and frosting because of its irresistible sweet, rich, and slightly nutty flavor. (See Mont Blanc recipe from this post.) It’ll pair nicely with plain vanilla and chocolate cake, with heavier flavors like coffee and pumpkin, and even a light strawberry cake or banana loaf. You can find matcha tea powder in any fine grocery store as well as tea shops. The canned chestnut puree or chestnut cream is harder to find in regular markets, so I like to order them from online sources so that I always have a can on hand. But like Kyleen from Sixteenbeans wrote, it’s definitely worth your while to roast and make your own puree. It’s time consuming but yields a much superior product compared to canned puree. 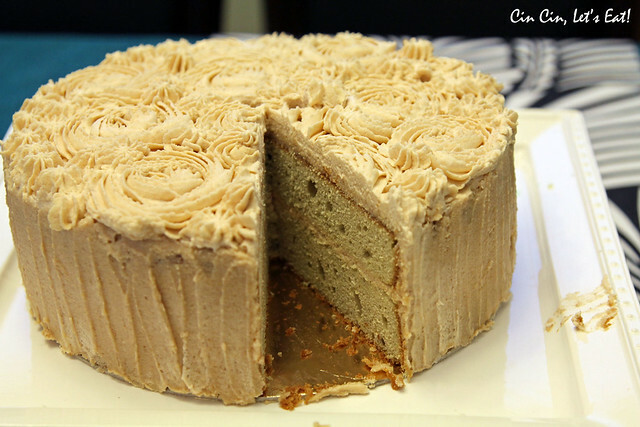 I could only imagine this cake would’ve taste THAT much better with homemade puree! And can we talk about how visually stunning the rosettes and stars are? I am constantly trying to practice my cake decorating skills and this was absolutely gorgeous but easy at the same time. I used a 2C tip here (which made the rosettes more like ranunculus but still very pretty) but normally prefer a 2D or 1M tip for rosettes. Any large star tips will work nicely too. I piped the large rosettes first and then fill in the spaces with small stars. Here is a great tutorial on how to pipe rosettes and other basic decorating techniques. Note: I like using pure unsweetened puree so I can sweeten it up to my liking. This time I had a can of “chestnut cream” on hand, which was already sweetened with sugar and vanilla. In that case, please do not add any sugar and vanilla extract to the whipped cream. For the chestnut cream, place cream in the bowl of a stand mixer with the whisk attachment. Add the powdered sugar and vanilla. (Remember to omit the sugar and vanilla if your chestnut puree is already sweetened.) Turn the mixer on to medium high. Meanwhile, stir the gelatine and water together in a small bowl. Microwave for ten seconds or until dissolved. While the mixer is still running, pour the melted gelatine mixture into the cream and continue to whip until stiff peaks. Add the chestnut puree and fold by hand until combined. Use immediately. For the cake, preheat oven to 350F. Butter two 9-inch round pans, line with parchment, butter, and dust with flour. In a medium bowl, sift flour, cornstarch, baking powder, matcha powder, and salt. In the bowl of an electric stand-mixer, beat butter and sugar at medium-high speed until light and fluffy, about 4 minutes. Add the vanilla extract and mix until combined. Add the eggs, one at a time, beating well after each addition. Add dry ingredients and sour cream in three alternating additions, beating well between additions. If the cake batter is too stiff, add more sour cream, 1/4 at a time. 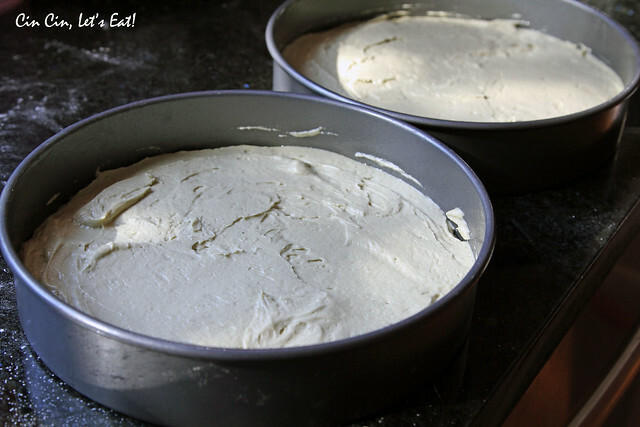 Divide the batter into the prepared cake pans. Bake the cakes in the center of the oven for about 40 minutes, until springy and a toothpick inserted in the center comes out clean. Let cakes cool for about forty-five minutes in the pan, and then transfer them to a wire rack to cool completely before frosting. Unfrosted cakes can be wrapped in plastic and stored at room temperature for up to 2 days, or frozen for up to a month. 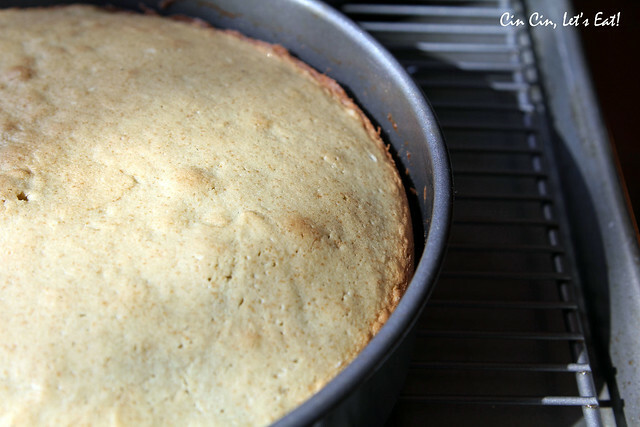 To frost the cake, place one cake layer on a cake board and place a dollop of cream over top. Using an angled spatula, spread the cream into an even layer. Place the second layer of cake on top, top down, frost the top of the cake and work the cream down the side until the whole cake is covered. Use a 1M or 2D tip to pipe stars and rosettes with the remaining chestnut cream. Refrigerate cake until ready to serve. May your Thanksgiving holiday be filled with great food and company (and great shopping, of course!). I’ll be making all the side dishes as usual and will be working on lots of upcoming blog entries this weekend. Cheers! What a stunning edible piece of art! Thank you, thank you, thank you! 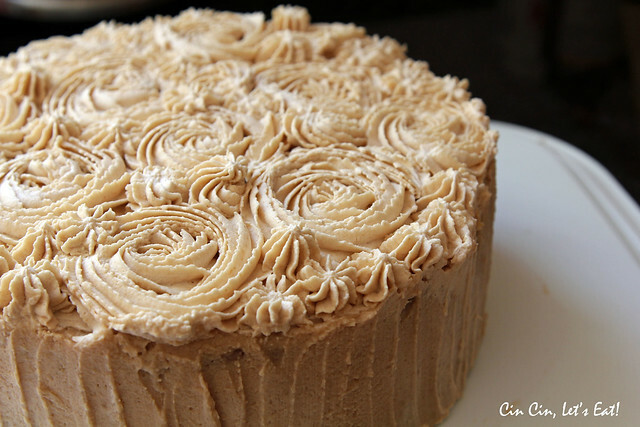 I’ve been searching for a long time on how to make chestnut whipped cream. 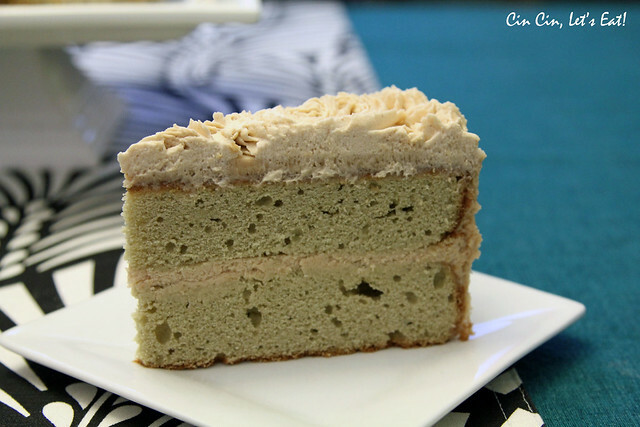 And I love green tea and cake as well, so this is definitely a recipe i will keep and use someday! My only question with the chestnut whipped cream is.. will you absolutely need gelatin for the whipped cream? I thought maybe puréeing the chestnuts then folding in the whipped cream would be fine, but it seems essential, so the cream will keep its shape when you pipe it..
Hi Michy, i have made it several times without the gelatin and turns out just fine. I used the gelatin to ensure the rosettes design will hold, but usually I leave the gelatin out if I am only using the cream as a filling. Agree with Michy, the idea for chestnut whipped cream just popped into my head this afternoon and would you believe this is the only recipe on the internet? It was also my first time making whipped cream! I halved the recipe and just slightly overchurned the cream but it was soooo delicious on our pumpkin pie!